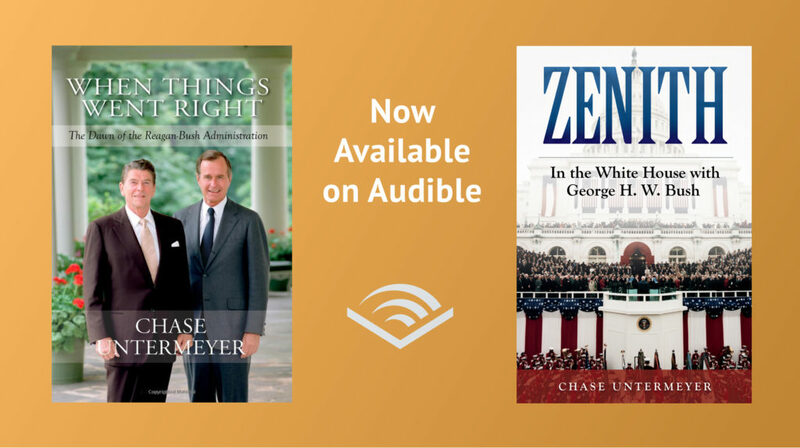 When Things Went Right: The Dawn of the Reagan-Bush Administration, using edited entries from Ambassador Untermeyer’s personal journal, has been published by Texas A&M University Press. The book covers his time as executive assistant to then-Vice President Bush (1980-83). Ambassador Untermeyer has a contract with the Press for the follow-on volume, to be called Reagan’s Navy, covering his service at the Department of the Navy (1983-88). When Things Went Right: The Dawn of the Reagan-Bush Administration, 1980-1983, using edited entries from Ambassador Untermeyer’s personal journal, is on the Fall 2013 list of Texas A&M Press. The book covers his time as executive assistant to then-Vice President Bush. 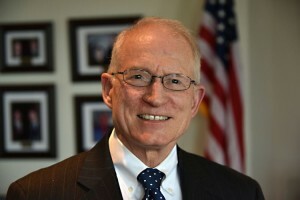 In addition, Ambassador Untermeyer has a contract with the Press for the follow-on volume, to be called Mr. Reagan’s Navy: The Pentagon Journals of Chase Untermeyer, 1983-1988, covering his service as Assistant Secretary of the Navy.